Disclosure: I was provided a discount or gift card in exchange for my review. All thoughts and opinions are my own. Do you ever feel like you are drowning in a 'sea of stuff'? Think you would like to donate some furniture but don't know how to get it out of your house and to the donation site? Ever wish someone would take all of the stuff you want gone and take it to the donation center or the dump....or both....for you? If you have answered yes to any of these questions, I've found the place for you. 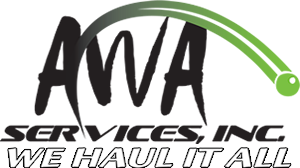 AWA Services provides donation and junk removal. Our MissionWe are dedicated to helping our community reduce waste. We are accomplishing this by teaming with local non-profit organizations.To reduce waste and to make a positive impact on the environment, we donate and recycle as much as possible.Most people understand recycling is good for the earth, but many don’t realize the various ways recycling can positively impact their own community. Check out our partners and learn how your donations make a difference in their organization. They work with Goodwill, Cross Training Center and Heartland Hope Mission. I personally support all three of these ministries and places in my own life. I found it to be absolutely refreshing to find a company who follows the same principals that I try to follow in my own life. Junk RemovalAWA Services, Inc. is your full-service junk removal company. 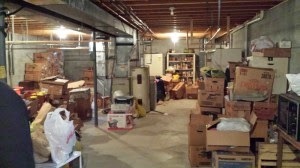 Need to clean out an attic, basement or garage? We offer junk removal services for your home or business. We donate, recycle or dispose of all items that we remove. We will haul away everything, including donations.Whether you have a garage/basement full of items or just one heavy item, we are here to help. Some of the most common items we remove are: couch, loveseat, table, recliner, tube television, hide-a-bed, mattress, box spring and miscellaneous stuff.Our fees are based on how many items you have and how much room they will take on the truck or trailer. Certain items may have dump or recycle fees. If you live in the Omaha area, you can enter to win a free donation/junk removal of 80-120 cubic feet of items. (Excluding tube TVs.) To give an example of size, a couch is 50-60 cubic feet. Want to get started on a cleaning spree? Enter below. 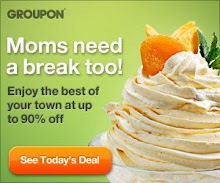 I'm sure many (more of than would like to admit) could use this! 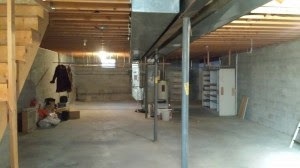 My husband's studio downstairs needs a ton of junk removal! I never know where to take toys anymore to donate. The Goodwill won't take them after the lead scare.